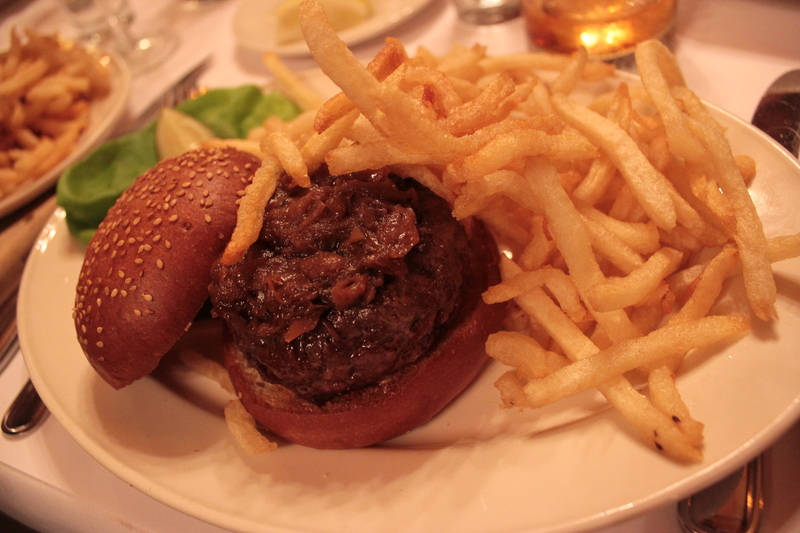 I hadn’t been expecting to review the much-hyped Black Label burger at the Minetta Tavern in New York City until some time next year, when I’d hopefully have gotten to visit the Big Apple once again. Recently, we visited Las Vegas to both celebrate my 30th birthday and to try out some (hopefully) tasty burger joints. Our journey took us from Glasgow to Newark, where we had a ridiculous 7 hour wait before our flight to Sin City. Completely unbeknownst to me; however, there was an early birthday surprise in store for me during the journey. I was informed mid-flight to Newark that we were going to use the 7 hour wait to travel through to New York City, meet my uncle who lives there and that a booking had been made for us at the Minetta Tavern. Well, it certainly sounded better than 7 hours at Newark Airport, that’s for sure! 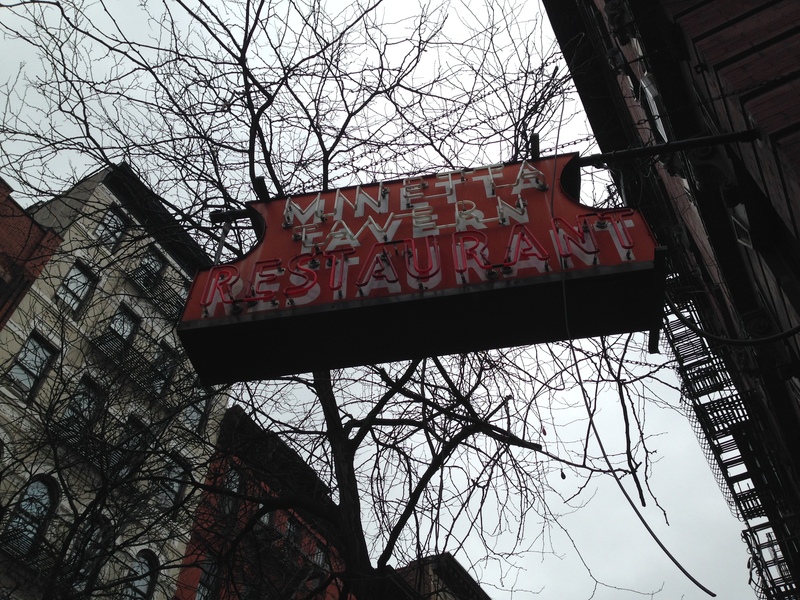 Why Minetta Tavern? 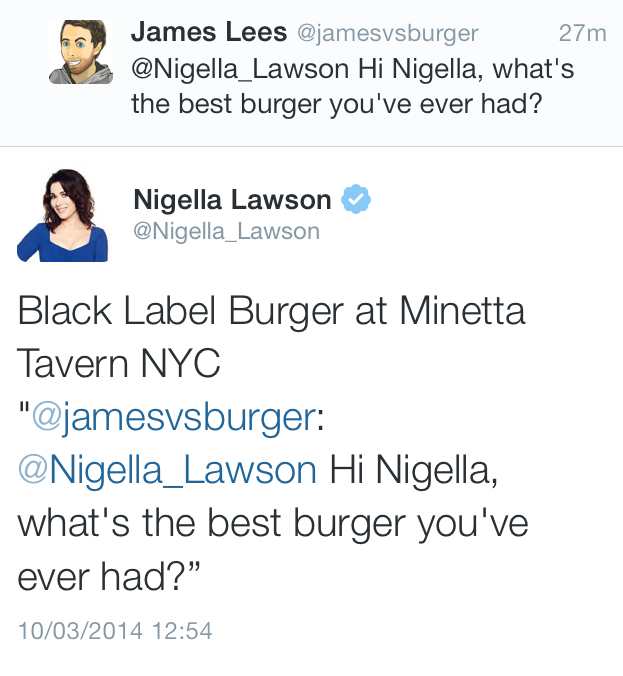 Well, I recently sent a random tweet to Nigella Lawson asking her about her favourite burger. 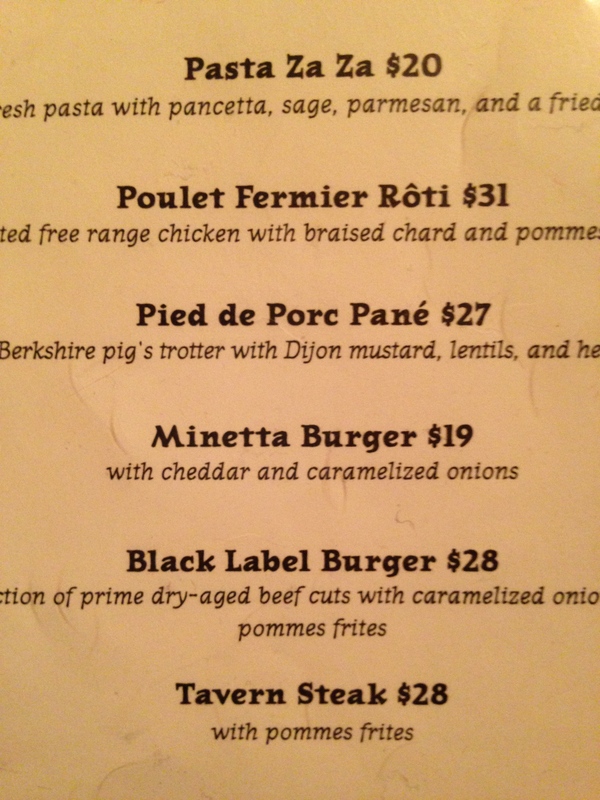 To my surprise, she replied rather quickly with her answer – the ‘Black Label’ burger from Minetta Tavern. I’d heard of the burger before – in fact, it was on our list of burgers to try during our last trip to New York City; however, we ended up not getting around to it at the time. It seemed like now would be a perfect time to try it before heading west to Las Vegas. Nigella recommended the burger highly. 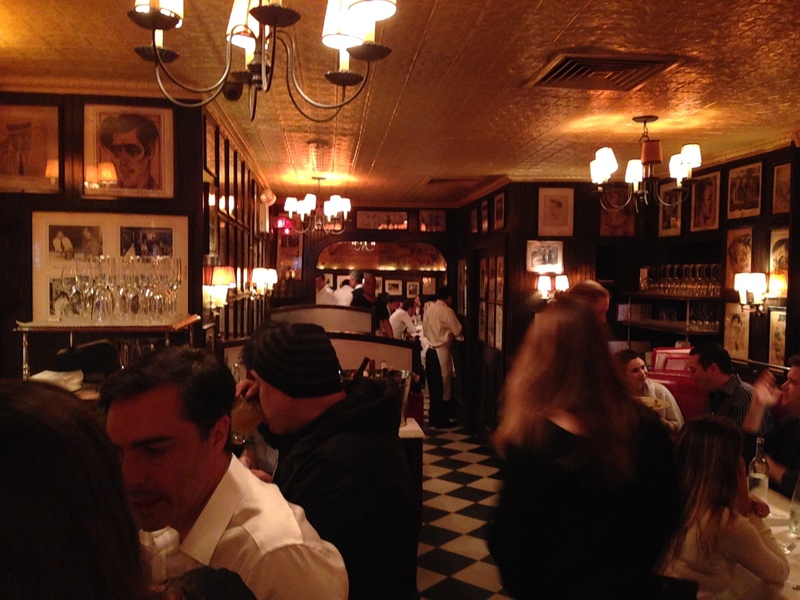 The Minetta Tavern gives off a cool, New York speakeasy vibe. There’s a thick red curtain that covers the door and inside, the ceiling is low, the lights are dim and jazz music fills the restaurant. 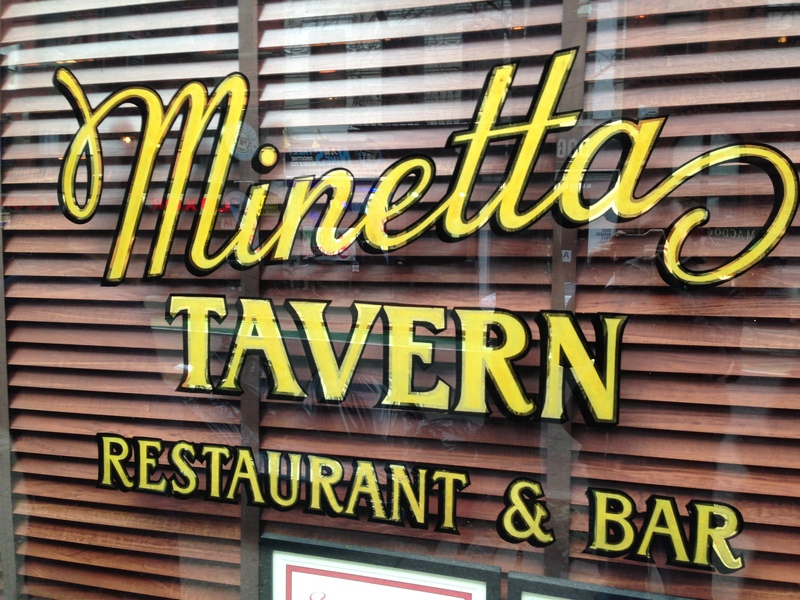 The Minetta Tavern feels completely authentic, almost as if it hasn’t changed at all since it first opened its doors. You’ll probably need to make a reservation in advance too, as it’s nearly always packed. The menu features a number of dishes from pasta to steak, but I didn’t even need to look at the menu – this day was all about the Black Label. At $28, I wanted to experience the burger as it was listed on the menu, so I ordered mine medium rare and opted not to add any other toppings. Pamela also ordered the same burger, but opted for hers to be cooked medium. 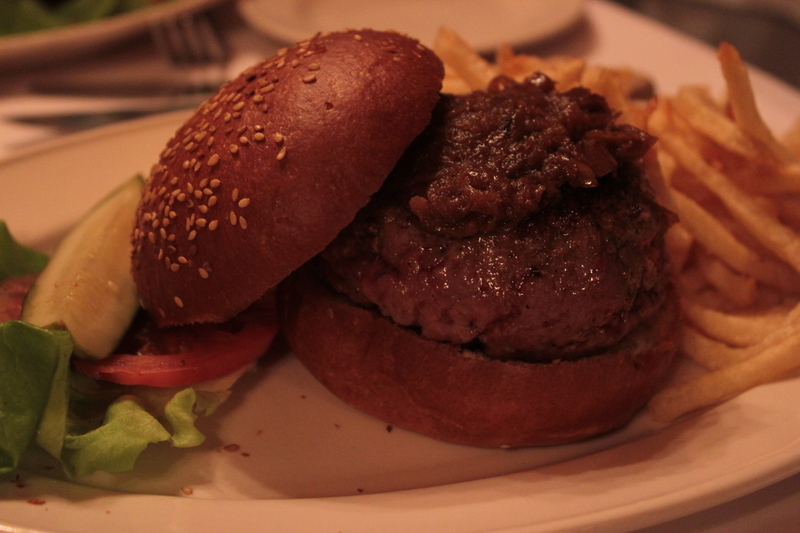 The burger came served on a sesame brioche bun and was topped only with caramelised onion. 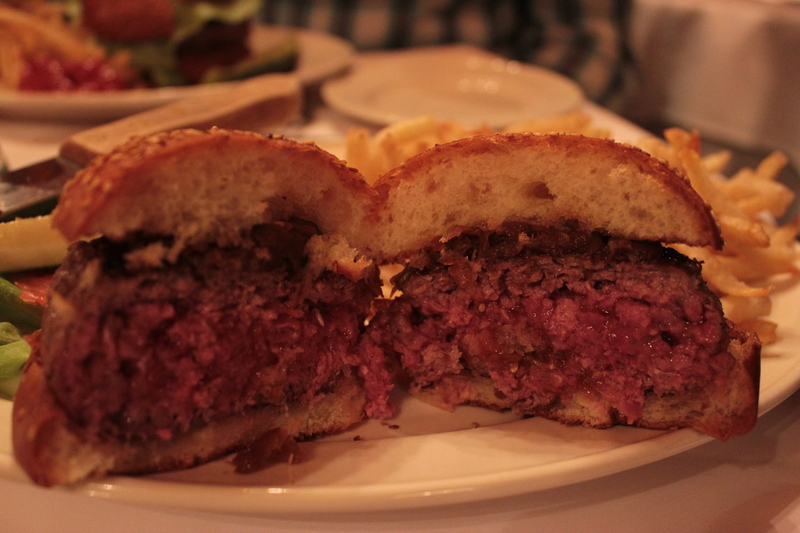 There’s a very interesting feature over on Serious Eats, which takes a look at the secrets of the black label burger. Even the bun is custom made purely for this burger only (and you can tell by looking at perfect the bread to meat ratio is) and clarified butter is added throughout the cooking process! Between this and the sheer amount of thought that goes in to every stage of creating this burger, it’s easy to see why it’s not even served with cheese on top. What I loved about how the burger looked was the simplicity of it all. If you read the Serious Eats article that’s linked to above, you’ll see that nothing about the preparation of this burger is simple, but on the plate, it’s a completely different story. The burger is also served with a large portion of skinny fries. These tasted light, crispy and extremely fresh. They reminded me of the skinny fries from Central Market in Glasgow, which are probably the best skinny fries that I’ve ever had. So, how did it taste? 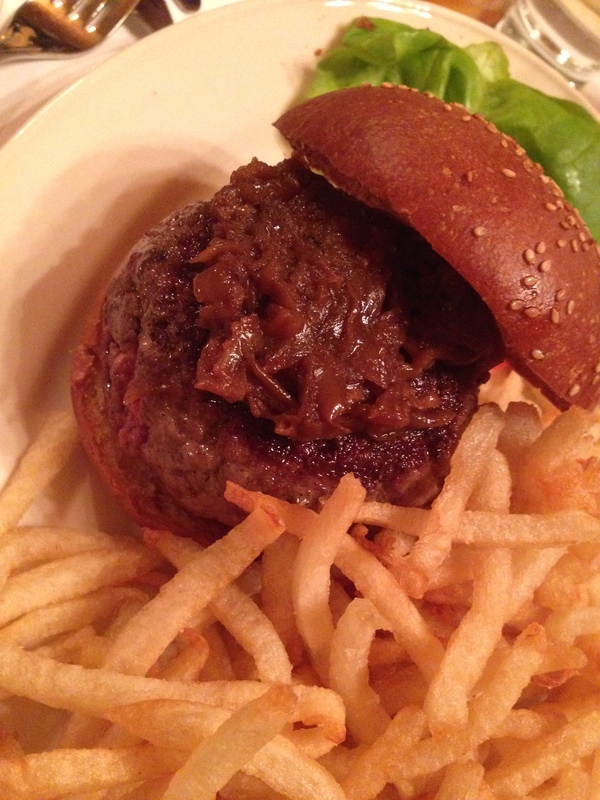 As soon as I found out that I was going to be visiting the Minetta Tavern, I made sure not to build the burger up in my head too much, despite the praise from Nigella Lawson. Claims of ‘best burger ever’ are thrown around all too frequently and I wanted to make sure I approached the black label with an open mind. After a couple of bites; however, I was sure that this was in fact, the best burger that I had ever tasted. Everyone else at the table agreed – and as you can see from the photos below, we received one cooked medium and one cooked medium-rare, just as we had requested. One was served medium, as requested. 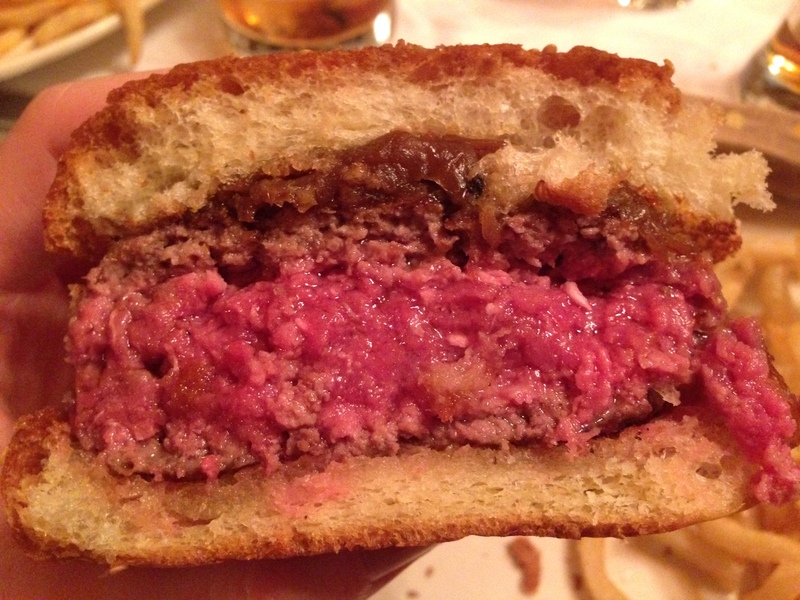 The patty; a ribeye and brisket blend, was perfectly (lightly) seasoned with a fantastic, dark sear on the outside. It delivered a rich, full flavour and the quality of the meat itself was really left to shine on its own. It wasn’t overly fatty, but left a slightly creamy, buttery flavour. Delicious. It’s understandable that the $28 price tag would certainly put some people off ordering the black label; however, any reservations that we had about this were put to rest with the first bite. The onions were thick, perfectly caramelised and delivered a wonderful acidity which complimented the meat well, but didn’t overpower it by any means. The beef blend is the real star of the show and I can completely understand why the staff advise against adding cheese to this one. The bun, which as stated, is custom made by the Balthazar Bakery was near perfect. Ever so slightly sweet, well-toasted and super-light. This wasn’t heavy bread, but the base was more than capable of handling the patty, onions and all of the juices that came from them without breaking apart at all. Everything about this burger worked perfectly. From the perfectly cooked patty down to the spot-on bread to meat ratio, there’s absolutely nothing that I could fault about the black label burger. The price will be a sticking point for a lot of people because, well, $28 for a burger sounds a bit ridiculous. Having had the burger; however, I’d be happy to go back and pay it again. Next time you’re in NYC, make it your first stop. The best ever? That’s a title that I’d always be a little trepidatious to award to any burger, but this is probably the closest thing to a perfect burger that I’ve experienced so far. + Spot on bread to meat ratio. – It’s a bit on the expensive side, but well worth it. Have you tried this burger? Did you love it? If so, let us know!